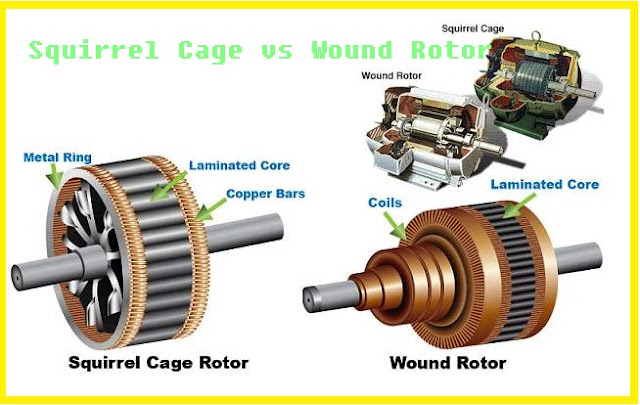 The squirrel cage rotor is the most popular rotor in induction motor. It is very commonly used in industries because it is very cheap, robust, efficient, and reliable. A wound-rotor is a type of induction motor where the rotor windings are connected through slip rings to external resistance. Adjusting the resistance allows control of the speed or torque characteristic of the motor.